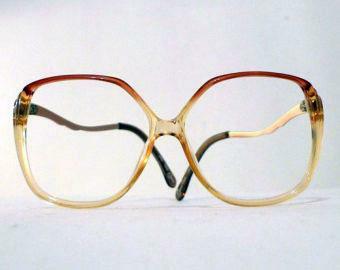 The actress, who played Deirdre Barlow in the popular TV show, passed away after a short illness. ITV said in a statement: "It is with great sadness that David Beckett has confirmed tonight that his beloved wife and Coronation Street actress Anne Kirkbride has passed away peacefully in a Manchester hospital after a short illness." The cast and the crew were said to be "heartbroken and deeply saddened" at the news. Kirkbridge played Deidre Barlow in Coronation Street for 44 years. Kieran Roberts, executive producer of the popular soap, said: "There are no words to describe the sense of grief we feel at Anne's passing. William Roache, who played her on-screen husband Ken Barlow, said in a statement on Monday: "I feel Anne's loss so personally having worked closely with her for over 40 years." "She was such a loving and vibrant person. You always knew she was there because her laugh was never far away. "We had some rows over the years as Ken and Deirdre and it was wonderful to play those scenes opposite her. Anne will be greatly missed." My beautiful darling friend, Anne Kirkbride, passed away in a room filled with love. God Bless, my Darling Girl! Peace and rest! Such sad news about Anne Kirkbride. My thoughts are with her family and all the Corrie cast and crew. So very sad to hear our lovely Anne Kirkbride has died. One of the true icons of @itvcorrie. We will all miss you. The nations favourite. Famous for her large glasses and husky voice, Kirkbride's character Deirdre Barlow became a favourite among fans during her four decades on the show, ITV said. Kirkbride is survived by her husband, David, her brother, John, and his family.